LAKELAND, Fla. - The manhunt for a gunman is on after three people were found dead late Monday in a central Florida home, reports CBS affiliate WKMG. 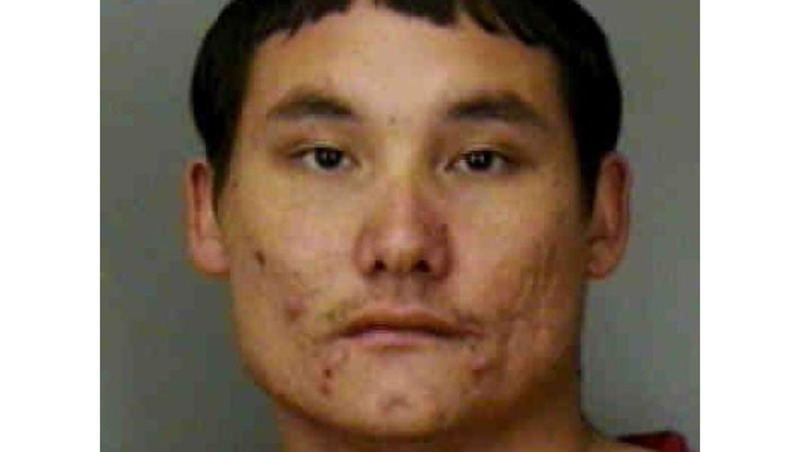 Authorities are looking for suspect David Eugene Smith, 27, after a 14-year-old student returned home from a weekend event and discovered the bodies of her mother, another woman and a man in Lakeland, Fla., according to Polk County Sheriff Grady Judd. The victims had been shot to death, possibly as early as Saturday morning. "We fear for the community until we find this man," Judd said in a news conference Tuesday morning. "This suspect has taken the lives of three people and we need to find him before he harms anyone else." According to the station, Judd said the suspect has a history of mental illness, and that he can be paranoid and delusional. A family member said Smith served in Iraq and suffers from post-traumatic stress disorder. Detectives were told he refers to himself as "Prince David." According to WKMG, the victims' names have not been released. Deputies described them as friends, and one of them was related to the suspect. Judd said deputies believe Smith may be driving a beige 2002 Mercy Sable with the Florida tag 708MDB, according to the station. He is a white male with black hair and dark features, 5-foot-10-inches tall, and weighs 220 pounds. He is believed to be armed and very dangerous, and should not be approached. WKMG reports deputies said the suspect has high school friends in Tennessee and family in Texas. They urged anyone coming into contact with Smith to call 911.